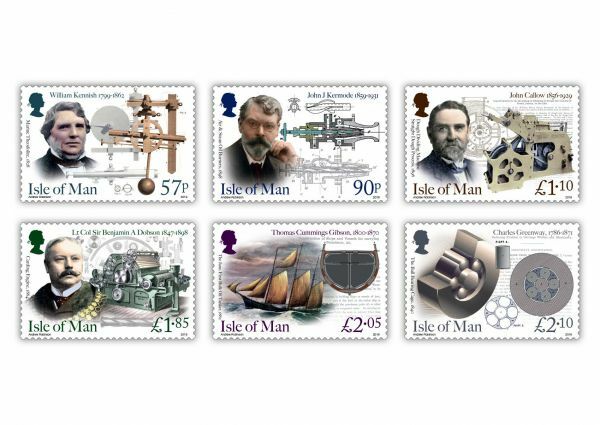 The maritime history of the Isle of Man and the achievements of engineers of the Victorian era are the focus of the next two stamp issues from Isle of Man Post Office. Maritime History features the work of John Halsall who was born during World War II in Douglas and raised in Laxey. The sea and ships captivated him from his earliest days and John left school at 15 to begin a lifetime of work on the high seas, first and last with the Isle of Man Steam Packet but with nearly 30 years in between as local fisherman and 'deep sea' merchant seaman which saw him travel the world carrying cargo as far and wide as Finland and Singapore, Brazil and the Suez Canal. He saw out the last 20 years of his long working life aboard the famous ships of the Isle of Man Steam Packet passenger and cargo fleet, his last job being rope-man on the piers at Douglas where he first began his life at sea. 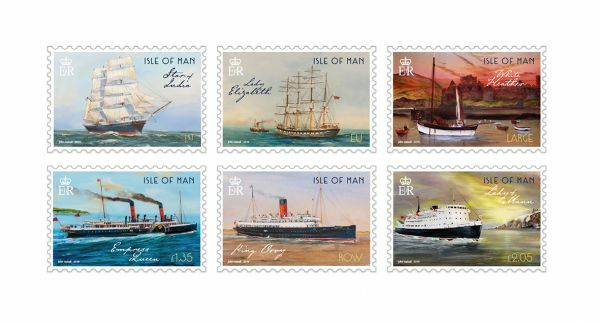 John's work features on the six stamps: Star of India (1863), Lady Elizabeth (1879), Nobby White Heather (1904), Empress Queen (1897), SS King Orry (1913) and Lady of Mann. This set of six stamps marks the 200th anniversary of the birth of Queen Victoria. The engineers featured worked in food manufacture, clothing, naval gunnery, modern machinery, oil shipments and engine fuel injection: William Kennish, John Johnathan Kermode, John Callow, Benjamin Alfred Dobson, Thomas Cummings Gibson, Charles Greenway. Order on the Isle of Man Post Office website.